Clancy Docwra, Claret Civil Engineering, Danaher & Walsh and Public Sewer Services have spent the last few months working on a joint business plan prior to signing the contracts which form the final part of the Integrated Maintenance and Repair (IMR) alliance for Anglian Water. 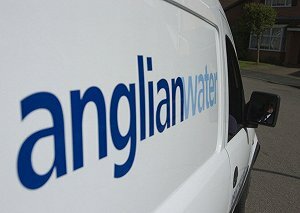 The IMR alliance is one of four alliances established by Anglian Water to deliver its AMP6 business plan in which the firm has promised ten outcomes. The alliance is divided into two specialist areas - one for water, the other for water recycling projects - both of which are designed to carry out the firm’s infrastructure maintenance work in a contract worth approximately £140m, to be carried out between 2015 and 2020. The companies signed the contracts last week and will be responsible for the client’s water recycling projects which includes fixing collapsed sewers and replacing damaged manholes, creating around 7,500 jobs a year. This area alone is said to be worth approximately £60m, bringing the grand total of works across the region during AMP6 to £200m for Anglian Water. Collaborative working specialists JCP were engaged in order to support Anglian Water in selecting the right teams to deliver the AMP6 programme of works, through the development of an optimised procurement process which assessed the staff at all bidding firms to determine suitability. Jason Tucker, who is Head of Capital Delivery and Supply Chain Management for Anglian Water, commented: “Confirming our partners for the final alliances brings our tier one AMP6 procurement process to its conclusion. “Our procurement process for AMP6 has been developed to ensure we select organisations that share our vision and are committed to the same outcomes as our AMP6 business plan, which was created collaboratively with thousands of our customers and stakeholders. All partners will support Anglian Water in a collaborative commercial model in which risk will be shared and rewarded jointly. IMWC (Integrated Msins Works Capital alliance) - £1.3bn contract to be delivered by Balfour Beatty, Grontmij, and MMB (a Mott Macdonald and JN Bentley joint venture), MWH and Skanska. IMDS (Integrated Metering and Developer Services) – a £250m contract to be delivered by Clancy Docwra and Kier MG.
IOS (Integrated Operational Solutions) – a £200m contract to be delivered by Barhale, Kier MG and Morrison Utility Services.